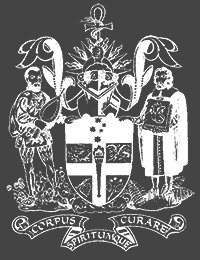 2017 marks 25 years since the establishment of the Australian and New Zealand College of Anaesthetists (ANZCA). So, as part of ANZCA, we’ll be celebrating 25 years too. But, whether it’s related to 25 years or not, there’s plenty going on this year and you can definitely get involved. Here’s just a sample. 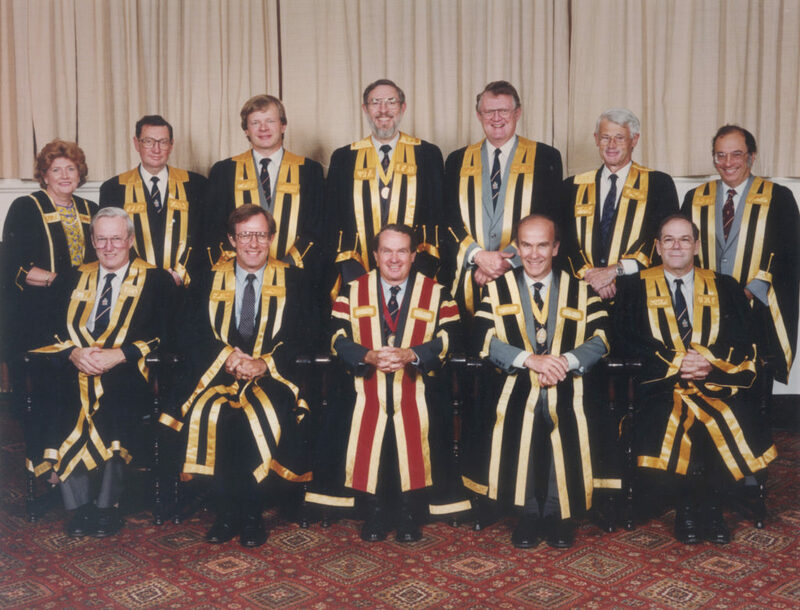 One of our big projects is to put together a Lives of the Fellows section outlining the first ANZCA Council. There’s some pretty big names in that group. Honorary Curator, Dr Christine Ball and Curator, Monica Cronin, will be running a history workshop in the education stream at the Annual Scientific Meeting in Brisbane. The purpose of this workshop is to refine online research skills and help Fellows and Trainees to contribute to the Lives of the Fellows project. There’ll be a host of resources made available and some up-to-date tips and tricks for historical research. If you haven’t registered for this, it’s not too late. We’ll be filming another couple of oral histories. This project will also focus on the 25 years anniversary and both Prof Michael Cousins (first Dean, FPM) and Dr Peter Livingstone (first President, ANZCA) will be interviewed. Take some time to check out the oral histories already done. Our new exhibition for 2017 is called Restoring the Apparently Dead: The search for effective resuscitation techniques. 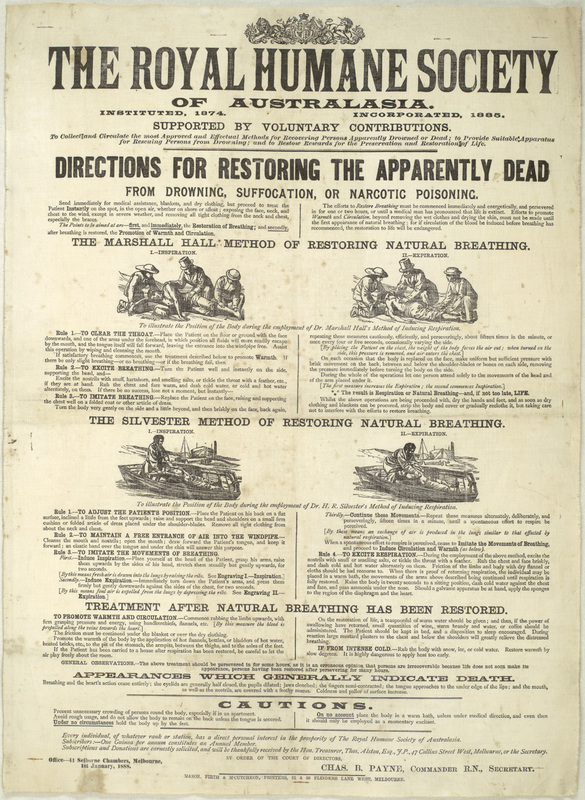 The name and visuals have been inspired by a very cool poster from the Royal Humane Society of Australasia, showing some rather interesting methods of resuscitation, and it will be launched at the Brisbane ASM. If you’re looking for some sort of preview to what might be in the exhibition, Dr Ball has been very busily researching and writing about the development of resuscitation in the ‘Cover Notes’ of the Anaesthesia & Intensive Care journal (paywall, Fellows and Trainees can access via the ANZCA library webpage). The museum also had a hand in organising the Art & Mindfulness workshop at GOMA during the Annual Scientific Meeting. During 2014 & 2015 we began looking at the way art is increasingly being used in medicine and the sciences. In recent times, observing and making art is being seen as a useful tool for reducing or managing stress, and for developing ambiguity tolerance. When you look at the program, you’ll notice there is a stream of mindfulness workshops. A similar program has been running at the Boston Museum of Fine Art for nearly a decade, and continues to be seen as a relevant part of medical education. Registration is still open. 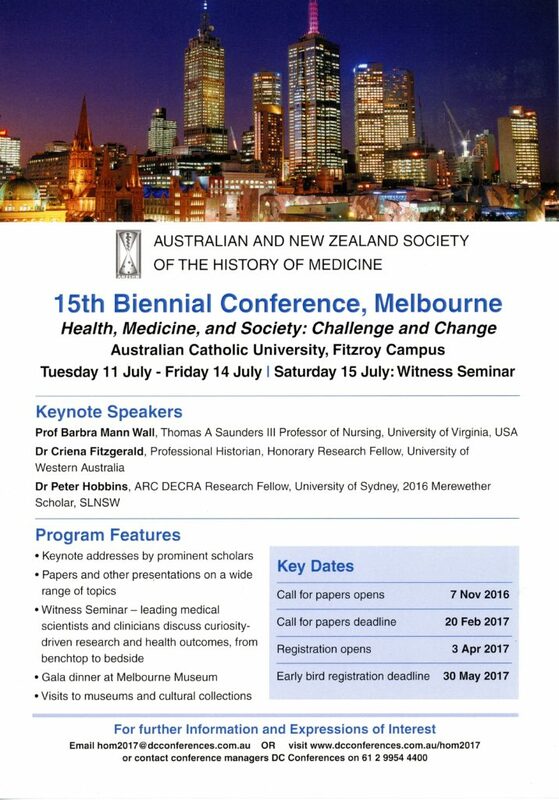 In July, the Australian and New Zealand Society of the History of Medicine is holding their 15th biennial conference in Melbourne (11 – 14 July). At the last ANZSHM the museum presented a paper about the impact of its accreditation through Museums Australia (Victoria). Going through the process ushered in a lot of changes and we thought other people would like to know about them too. This time, we’re following up on our blog series “The Great Women of Anaesthesia” and looking at the way women’s history is often hidden and what we can do to bring it to the fore. We’ll also be live tweeting and preparing a blog piece or two. Then, in October, we’re heading to America to attend the 9th International Symposium on the History of Anesthesia. That’s in Boston. Both the Honorary Curator and Curator will be presenting, and for the first time, there’s be a dedicated session about anaesthetic museums. Did I mention it’s in Boston? Expect to have that live-tweeted at you and probably more than one blog post. In between all of that, we’ll be doing collection audits, cataloguing the corporate collection, finalising the inventory of the Gwen Wilson archive, creating new online exhibitions, updating the blog, posting about it on social media, continuing to populate Victorian Collections with our catalogue records and generally just hanging around the museum, doing museumy stuff. So, if you’ve got some time on your hands and always wanted to get behind the scenes in a museum you should definitely get in touch. There’s a lot of behind the scenes projects and the more the merrier. We’re also regularly looking for guest bloggers. We recently started a series about early women anaesthetists. We’ve enjoyed learning about some incredible women who really had to fight to study medicine, let alone actually practice it. We’re still researching these women and it’s taking some time, partly because their stories are somewhat hidden, but we’re determined to find them and bring them to you. If there’s something you think we should be blogging about, don’t be shy, let us know. But, maybe you should also be prepared to write it yourself. Grab a group of friends and divvy up the research. Use the resources of the Geoffrey Kaye Museum or the host of other museums, historical societies and archives around the world who are making their collections accessible online – all the better for researchers.